This question, often posed by doctors, is actually about a legal doctrine called “assumption of the risk”. This is a defense against a negligence claim based on the plaintiff having actually agreed fully to take on the risk that he or she is now suing about. Assumption of the risk does actually superficially sound a great deal like the informed consent doctrine because under it someone must be informed of specific risks and agree to go ahead anyway and it does not cover reckless or intentional conduct. Many physicians therefore believe that a patient can, by agreeing to medical care, immunize them against a later claim of malpractice unless they are actually grossly negligent or intentionally improper in providing that care. 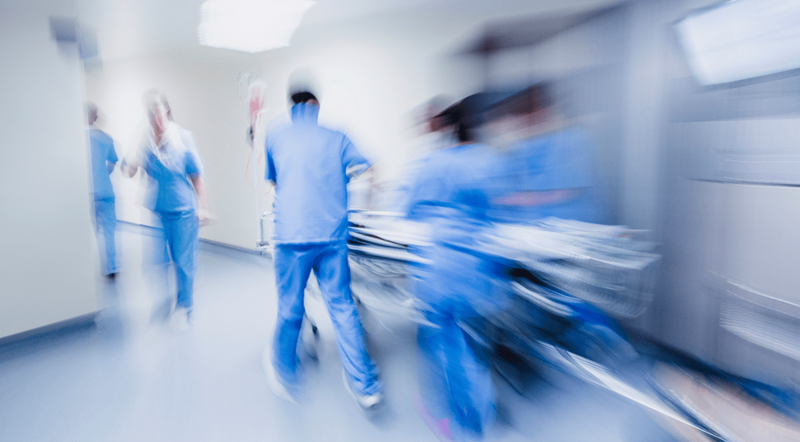 So, why doesn’t a signed consent just stop a medical malpractice case at the start? Why can’t the defendant doctor plead “assumption of risk” and end the case? After all, patients are informed of the risks as well as the benefits of a treatment and then agree to go ahead anyway. The reason is that the assumption of the risk doctrine actually does not apply to medical care. Let’s look at where it does apply to understand why that is. Express assumption of the risk is usually asserted in cases involving injuries that occurred during inherently dangerous recreational activities, like hang-gliding or bungee-jumping. It is founded on a release that the person who wants to engage in the risky activity signs with the operator, a release that restricts any future claims to injuries due to actually reckless or intentional conduct by the operator. Implied assumption of the risk is usually asserted in cases involving injuries that occurred when the plaintiff was voluntarily in a place where an activity with dangerous aspects was going on, such as a baseball game. Instead of an actual document stating that the individual specifically consented to, for example, the risk of being hit by a ball that was batted into the stands, their choice to be present in a place where such events are known to happen is held to be evidence of their consent to take on that risk. It is clear that these principles should not apply to medical care because that would mean that as soon as a lay patient agrees to be treated the trained physician who recommends and performs that treatment would be free of any responsibility to them as long as that physician was just not completely reckless and did not try to hurt them on purpose. In fact, applying assumption of the risk would violate the underlying fiduciary nature of the physician-patient relationship because it would mean that the doctor was excused from any duty of care to the patient. This, of course, can never occur because a physician is always bound to act in their patient’s interest. Assumption of the risk as a defense is therefore generally never going to be presented in a malpractice case, and in the rare case that it is proffered the facts are likely to be unusual. A case from New York, Schneider v. Revici, is worth considering in that latter regard. In that case a patient with breast cancer saw several doctors, all of whom recommended surgery, but she refused to have the tumor removed and instead went to a quack. When his bizarre concoctions (of course!) failed, her cancer spread. She then sued him for malpractice and won, although the jury, applying comparative negligence, also found her 50% liable for her own injuries. The doctor then appealed, claiming that she should have been barred from even bringing the suit against him at all under express assumption of risk because she had signed a consent form that said that she knew that the treatment was unconventional and that there were no guarantees. The appellate court then held that it was appropriate to consider the plaintiff’s “awareness of the risk of refusing conventional treatment” under the assumption of the risk doctrine. This patient had voluntarily stepped outside of standard medical care despite knowing that that was very risky to do, having been warned by the several physicians she had originally consulted. She was actually the opposite of a patient who agrees to exactly what their doctor suggests and is thereby harmed. She, unlike the usual patient seeking care, had become more like the person who signs a release and climbs on the rollercoaster rather than staying safely on the ground, thereby assuming the risk. However, even on these facts this case remains a rarity and in more modern jurisprudence it is unlikely that assumption of the risk will be accepted by a court to bar a medical negligence action. 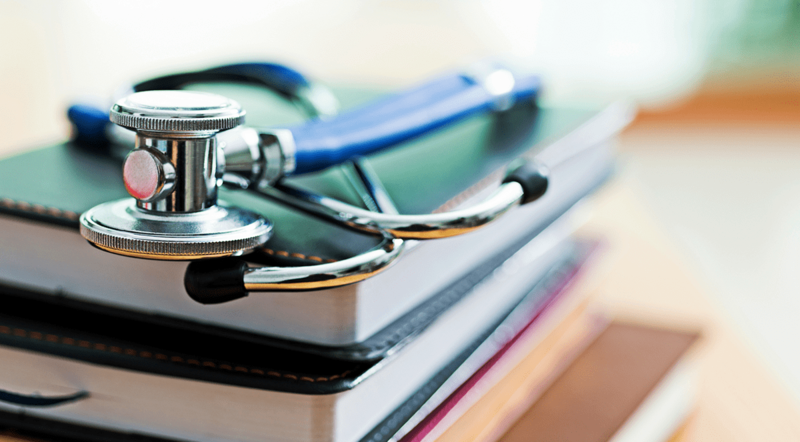 The inapplicability of the assumption of the risk doctrine in the defense of a medical malpractice case is actually not a significant deficit, though. Frankly, a defense attorney intoning “Volenti non fit injuria” (“to a willing person, no injury is done”) and waving a consent form to explain why a defendant doctor’s proven negligent conduct just does not matter because, well, the patient had agreed to be a patient is likely to have a very adverse effect on jurors. Meanwhile, the defendant doctor can still invoke the comparative and contributory negligence doctrines to present evidence about the plaintiff’s actual culpable conduct within their own care. Informed consent does not change the general inapplicability of the assumption of the risk doctrine to medical care because consent is being given to the treatment being done well, which implies the duty of care. The patient is saying that they understand that even a good treatment that is done properly can have certain risks. They are not, however, agreeing to the treatment being carried out in a negligent manner that happens to then produce the same harm that they were warned about. It is clearly not the intention of the consenting patient to free the doctor of the responsibility to mitigate risk on their behalf by actually doing the treatment with care so that even the known risks they were warned about will be less likely. The next issue is how the inapplicability of the assumption of the risk doctrine to medical care squares with our belief in patient autonomy in a situation in which a patient wants to choose their care. Can a patient relieve their doctor of even the responsibility to make good medical choices on their behalf, immunizing the doctor with a “hold harmless” letter if the doctor does what they demand? The answer to that is “No” – a patient cannot pre-emptively excuse their doctor from any harm they may suffer from what they convince the doctor to do. This is because a physician’s duty of care includes a duty to assess the reasonability of what is being requested of them and to refuse to comply if such is medically incorrect. The reason for that lies in what bioethicists call the beneficence model. Under this, the physician must evaluate the patient’s desire to undergo or to refrain from a type of care as to the medical reasonability of that preference and make that assessment known to the patient. Carried over to the standard negligence model that is based on a duty of care owed to the patient, the beneficence model means that it is part of the physician’s duty of care to be the adult in the room and to tell the patient when a medical request is not a good choice, to not just be a rubber stamp for what the patient wants. This then actually brings us back to the issue of informed consent since a patient’s consent to either proceed with a treatment or to refuse one is, by definition, not informed if their doctor does not tell them that what they prefer to do is simply not reasonable. As an example, consider Michael Jackson’s demand to be dosed with a dangerous drug at home, a demand that his doctor just accommodated, eventually with fatal results. Such submission by a physician to the role of hand-puppet is antithetical to their duty to their patient and so actually supports the essential element of a malpractice claim: breach of a duty owed to the patient. In summary, then, the legal doctrine of assumption of the risk does not actually overlap with the informed consent doctrine and actually does not generally apply in the medical setting at all because that is grounded in a fiduciary relationship to the patient. A physician’s duty to act in the interests of his or her patient includes preventing the patient from engaging in unreasonable medical conduct (and actually withdrawing from the patient’s care so as to not facilitate such) and this duty cannot be delegated to a patient who says that they will take on the risk. 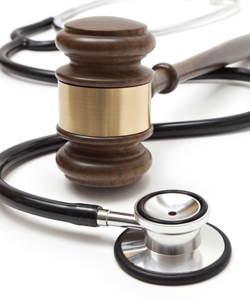 Dr. Medlaw is a physician and medical malpractice attorney. This article originally appeared on SERMO, which retains all rights to it.